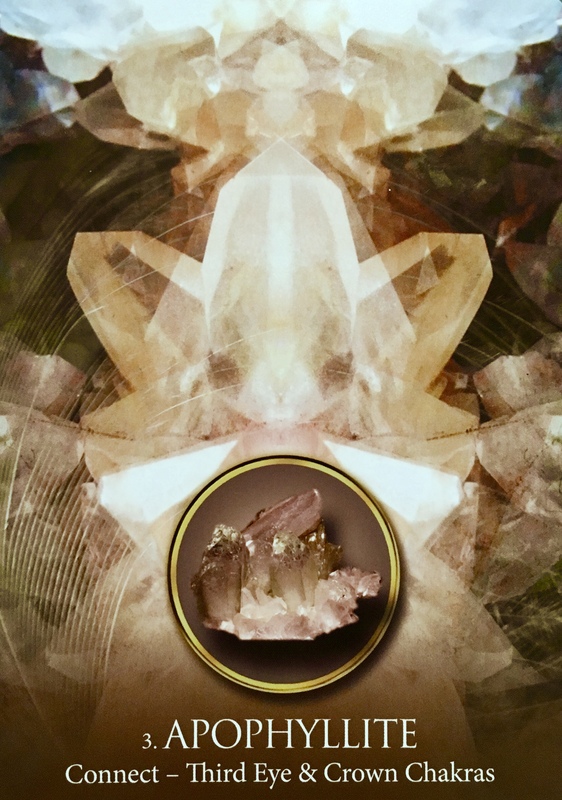 “Apophyllite’s healing energy has come to you to strengthen your natural psychic ability. It also bestows you with greater mental clarity to connect with higher guidance from your spirit guides and angels. Notice the intricate connection between the physical and spiritual worlds. Calm and ground yourself so that you can hear, sense and feel your spirit guides and angels more clearly. You can also call upon them to help you to raise your vibration so that you can release any negative thought patterns or mental blockages. Once you clear any negativity or self-doubt, you will be able to let the positive energy shine in your life. Apophyllite radiates Divine white Light, you can quite literally see it when you hold it in your hand and gaze into it. Its frequency is very high, and it can be used for interdimensional travel and communication during meditation, making it much easier to contact angels, guides and benevolent beings of Light. It is also protective and can be used to ‘grid’ your living office or bedroom; creating a purifiying energetic space which will not allow negative energies to collect. It is great for children’s bedrooms, particularly if they are prone to nightmares or bad dreams, keeping a high vibrational frequency which will help the child to feel safe and loved, as well as facilitating angelic protection and communication. Place Apophyllite on your body to heal or move ‘stuck’ energies or blockages. If you have pain or stagnancy, lie with the Apophyllite resting on your body where the issue is for twenty to thirty minutes daily until you find relief. Place just at the top of the head to encourage opening of the Crown Chakra, strengthening your connection to the Universe and allowing yourself to receive higher frequency communication, guidance and assistance. Place on the Third Eye Chakra in the center of the forehead to open this chakra and assist you in seeing the truth in a situation.